When you think about factors that impact your health, what first comes to mind? Maybe it’s exercise, eating right, or regularly getting a good night’s sleep. Of course, these are all relevant influences, but there are plenty of other elements that affect our overall health and the digestive system is one that we don’t often talk about. “The health of your gut (or your stomach, large intestine and small intestine) is 70 to 80 percent of your immune system,” says Breanne Rice, a certified nutritional therapy practitioner. The health of your digestive system, Rice said, is essentially imperative for good overall health. “If you do not have a healthy digestive track, it will affect other functions of your body,” she explained. So, what can you do to ensure that your “gut health” is in good standing? Rice suggests the following six tips, which she says will naturally improve your digestion and maximize your nutrient absorbtion. 1. Calm Down: That's right, chill out! When you're emotionally stressed or on the go you will not be able to digest your food properly. We must be in a relaxed and parasympathetic state to have optimal digestion. For your next meal: sit down with no distractions (TV, phone, laptop) and savor every bite. 2. Chew Your Food Well: Saliva is a mixture of enzymes, electrolytes and hormones that help break down and digest starches. If we do not chew our food properly, our brain does not trigger salivary amylase and undigested starches enter the small intestine which can welcome unhealthy bacteria and pathogens. See also: What is Mindful Eating? 3. Try Apple Cider Vinegar: Having sufficient HCL (hydrochloric acid or stomach acid) is critical for digesting fats and proteins. Without sufficient HCL levels, we can be prone to having a leaky gut and autoimmune issues. When we aren't digesting our foods properly, this can cause holes in the intestinal walls and undigested proteins are leached into the blood stream. When this happens, your body perceives these proteins as a foreign invader and forms an antibody, thus a food allergy is born. Apple cider vinegar triggers HCL production by lowering the stomach pH, aiding in digestion and stimulating peristalsis in the colon. 4. 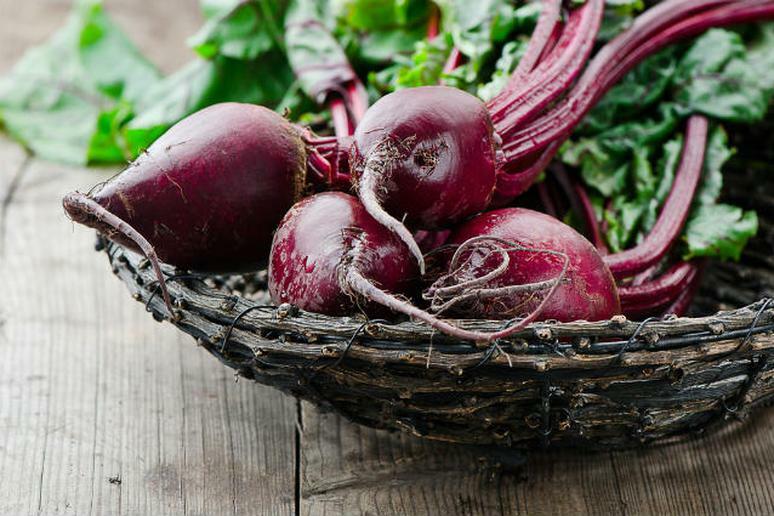 Eat Your Beets: Beets contain betaine, which helps to stimulate the flow of bile, detoxify the liver and keep you regular. Bile is a fluid into which the liver excretes toxins for removal. A great way to know how long it's taking you to digest and eliminate foods is to eat beets and see how long it takes for your stools to be pigmented. Ideally, you'll want to see pigmented stools within 18 to 24 hours. If you see bowel changes three days later, it may be time to change your diet and investigate possible underlying causes. 5. Incorporate Probiotics and Cultured Foods: Fermented foods are essentially ''pre-digested.'' They increase your beneficial bacteria, which aid in digestion and help fight off unwanted pathogens in your GI tract. There have been numerous studies showing a strong link to obesity and high levels of unhealthy bacteria in the gut. Try adding foods like sauerkraut, kombucha, and coconut keifer into your daily diet to increase beneficial bacteria and keep you regular. 6. Bone Broth is Essential: Bone broth aids in digestion and helps to heal the gut. Bone broth contains gelatin, which is a hydrophilic colloid. It helps hold digestive juices and seal the gut.